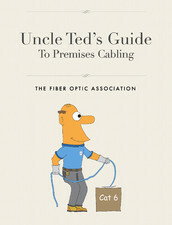 Do you think that creating a FTTH network is only possible if you have the resources of a Verizon or Google? 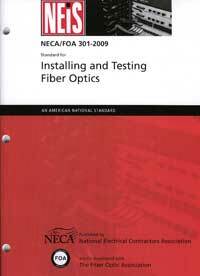 That you need a contractor with lots of experience in designing and installing the fiber network? Or an IT department who can install and operate the equipment? Well, think again...AND DO NOT MISS THE END OF THIS STORY! 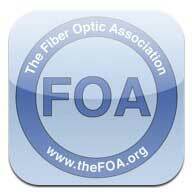 About a year ago, FOA was contacted by Greg Turton of Cordele, GA. who was curious about what was involved in creating a FTTH network. Greg is a real estate developer who also owns several local hotels. Where he lives and builds homes is way outside of a service area that anybody wants to build good broadband, forget FTTH. Cordele itself has a population of only about 15,000 and is one of those small cities along the Interstate highway that are everywhere in the US. 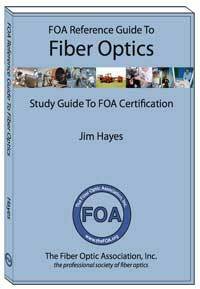 We answered Greg's questions and led him to some of the FOA Guide web pages and YouTube videos about FTTH to get him started. More conversations discussed how to get connections as an ISP, types of components and suppliers, etc. 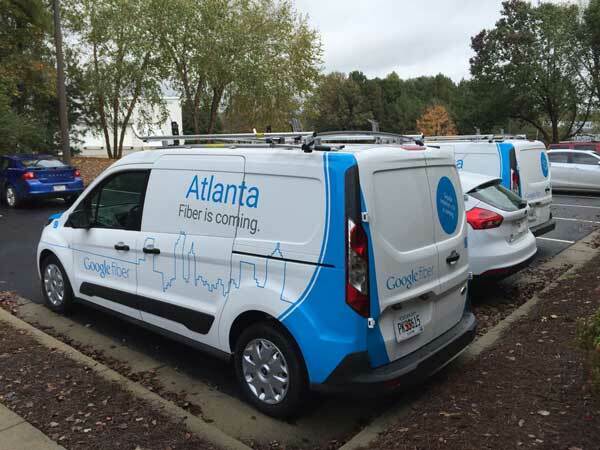 Fortunately the local electrical utility has lots of fiber but they were restricted from building their own FTTH network because Georgia was one of 19 states where lobbyists for the incumbent providers got laws passed restricting their ability to operate a FTTH system themselves. 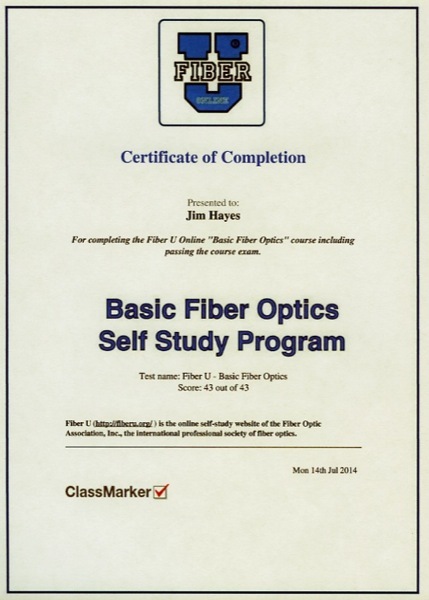 But they were more than willing to lease dark fiber to Greg at really good rates. And there were good choices on getting an Internet connection. As he got more serious about the project, we introduced him to two FOA Master Instructors, Eric Pearson and Dominick Tambone, in Atlanta, just two hours away. Greg hired Eric to come to Cordele and train him and several more of his people. Eric taught them how to work with cable, prepare the cable and splice it, dress cables in splice closures, pedestals, manholes, etc. 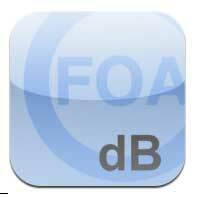 Eric, Dominick and the FOA had many conversations with Greg about his project and the potential suppliers to it. As construction began, Dominick came down to Cordele to help with the early installations. Now that you know where we're going with this story, let's talk about Greg. 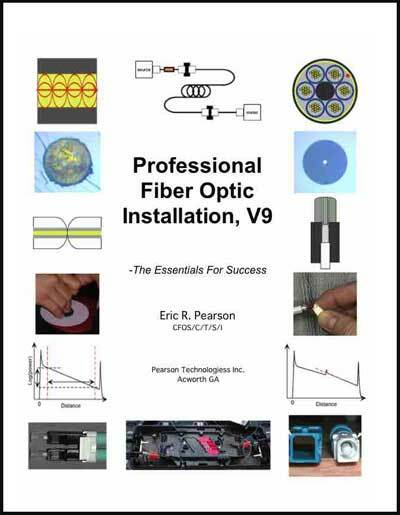 He is not your usual fiber optic project manager. First he is a second generation developer, following in his father's footsteps. He is accustomed to getting into the depths of a project, understanding the risks and making investments. He's also a "tinkerer" - he likes projects and challenges. 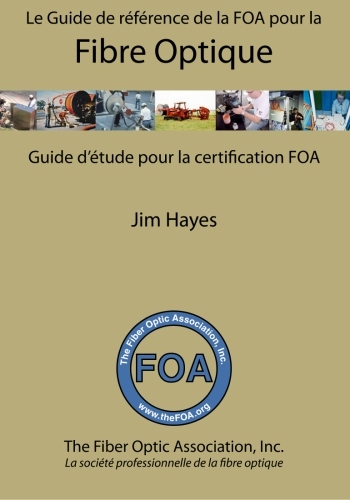 He's a private pilot who has invented and manufactures two types of air conditioners for small airplanes which he built in his shop and tested in his own airplane. He makes electrical hardware he invented for his own hotel to make using tech devices more convenient for his guests. He also has a great crew of people working for him and lots of local connections. 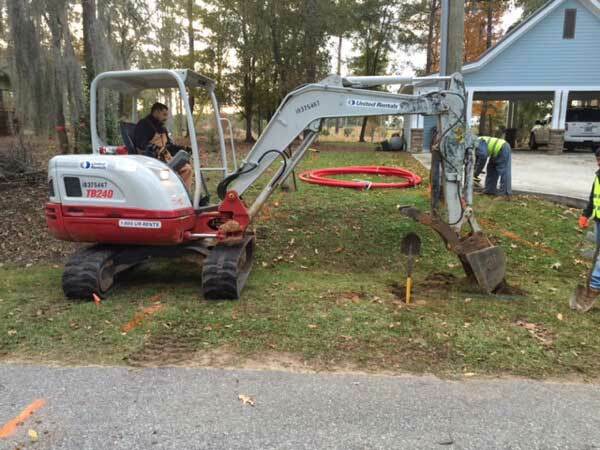 To Greg, FTTH was another challenge, and after he became educated himself, he knew he and his crew could build it themselves. 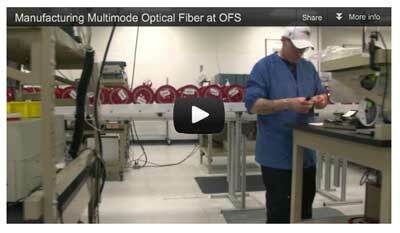 FOA visited Greg and his crew recently (they now are known as "Southern Fiberworx") and saw what they have done. It's amazing - simply amazing - and should be an inspiration to any other group wanting to build their own system. Here's some photos and descriptions of their project. Meet Greg Turton. Greg and his crew had a lot to learn and accomplish before the project even started, as we mentioned above. They also had to figure out how to document the system as they designed and built it, something they accomplished using Google Earth. 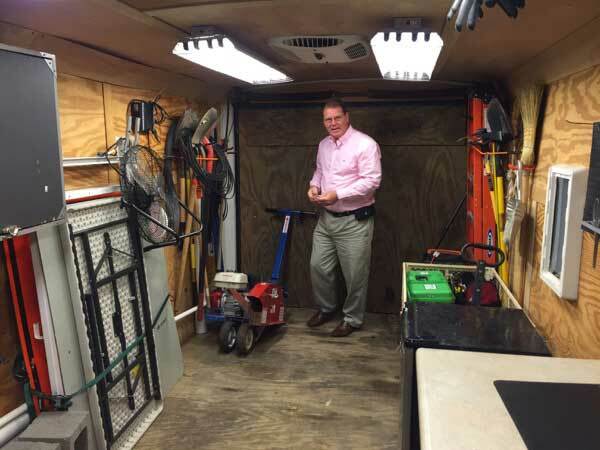 As they started buying equipment for splicing and testing, the needed a splice trailer. No problem, they built one. Based on their training, they knew they needed a splicing trailer for work in the chageable South Georgia weather. A small converted travel trailer provided the base for their splicing trailer and they furnished the inside with a work counter and racks and cabinets for storage. Air conditioning was furnished by a local company that wants a fiber connection themselves. The white rectangle on the right is the entry for the fiber optic cables being spliced - a converted home doggy-door! 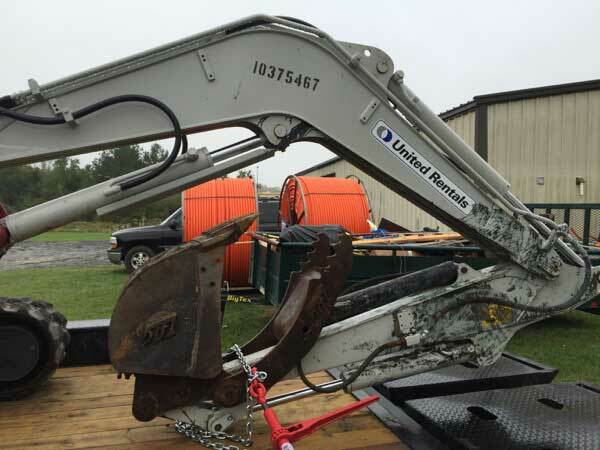 Rather than investing in heavy equipment, they rent from local companies. They converted a large utility trailer to carry cables and conduit. Most cables were installed by trenching. 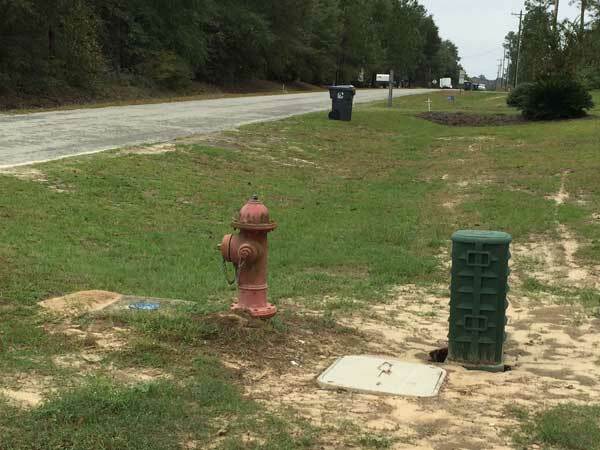 In an area that has lots of underground utilities, they had to be very careful. They started by calling utilities before they started and manually digging holes before using the backhoe. Finding after a few near-misses that wasn't sufficient, they bought a top quality underground locator and learned how to use that to double-check before digging. 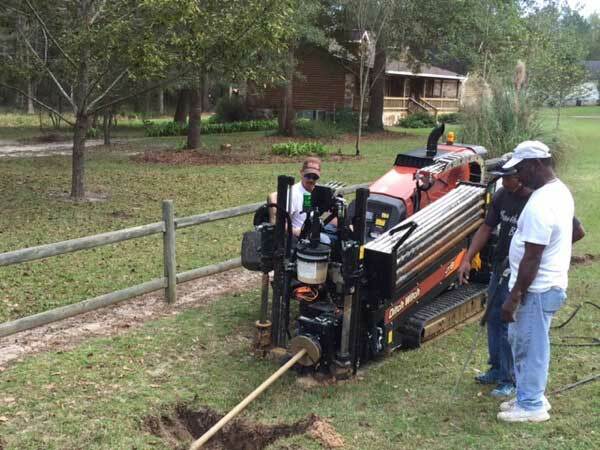 To avoid digging up paved roads or driveways, they used directional boring. It also worked well for several bridges crossing small streams. 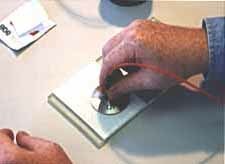 Splice closures were put into hand holes or pedestals like this one. 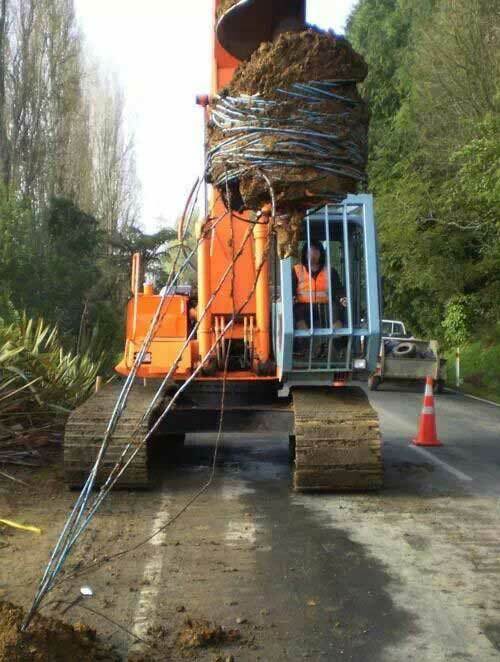 The cable was laid along two lane roads along with other utilities. Here's Greg with one of the equipment pedestals needed to get connections into a remote area. Neat splice trays - they learned well from Eric Pearson's training. Here's Greg and David Herlovich, his assistant, with the equipment for their head end. They chose ADTRAN equipment for their system because of their reputation, knowledge and support, plus they are nearby in Huntsville, AL so Greg can fly his plane over to visit the factory when necessary. The proof is in the performance, of course. 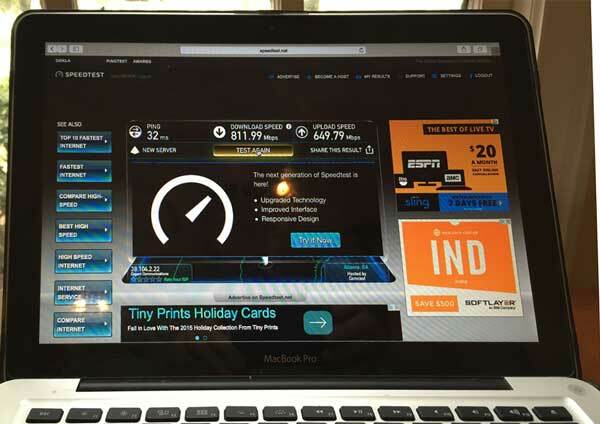 This is a computer at Greg's house connected to his network doing a speedtest. And there you see the results of the speedtest on a "do it yourself" gigabit FTTH network. When we visited Greg in November, Southern Fiberworx had just started installation. They had already connected 30 homes and had over 100 scheduled for installation. His original goal was to pass about 800 houses in his development and sign up 30-40%. 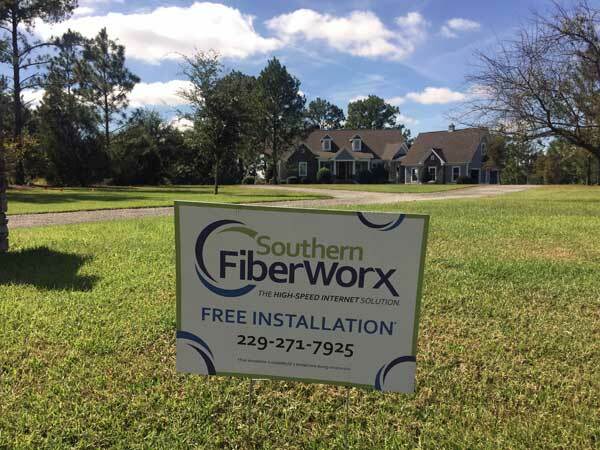 Southern Fiberworx works like Google Fiber; get your neighbors together and sign up and they build that neighborhood next. While we were in Cordele, we talked to some local businesses and discovered that what Greg had been telling us was true - the local enthusiasm for what he was doing was amazing and people want to get connected ASAP. Because Greg knows practically everybody in town and has talked to many as he got permits and help building the system so far, they know what he's doing and want him to expand beyond his development to cover the entire town. As the word spread, the county expressed similar interest in his expanding the Southern Fiberworx footprint to cover the county. Then the next county approached him with the same idea. 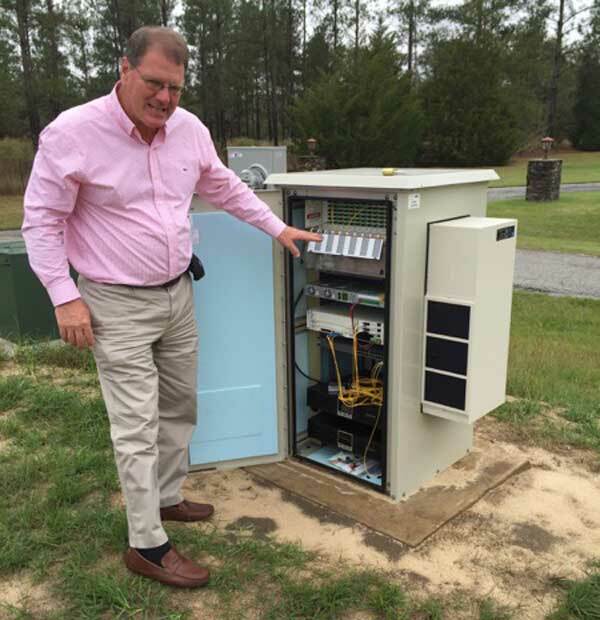 While we were in Cordele, Greg asked us to visit his bankers who wanted to know more about building a FTTH network - you know, from the investment point of view. To date, no kidding, Greg has funded Southern Fiberworx out of his pocket! Yes, it does not cost that much to get something like this started. 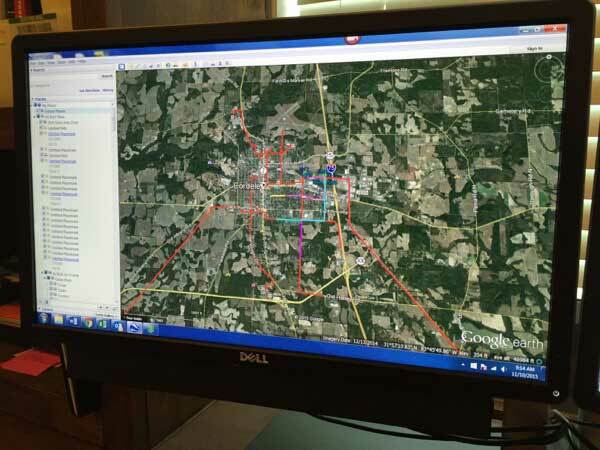 But if he expands to the city of Cordele and the two local counties, he may need to get financial backers. 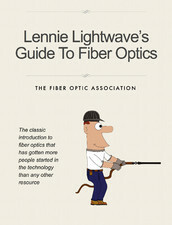 We pointed out to the bankers that FTTH provides high income with little overhead making good cash flow. 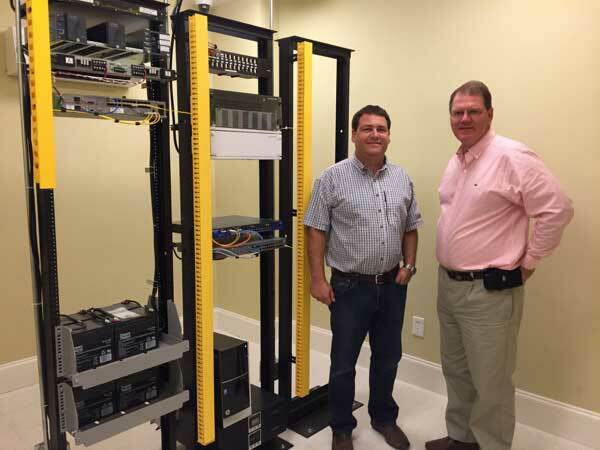 In addition, recently two CATV systems had been sold for $5-6000 per subscriber - a whole lot more than it cost to connect each of Southern Fiberworx subscribers on gigabit FTTH. If that's not a good return on investment, what is? 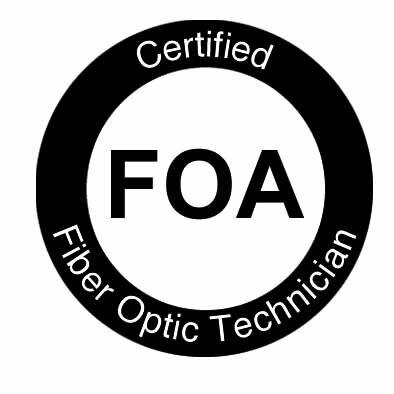 Southern Fiberworx is not the only independent FTTH network FOA has been working with. We get calls often asking how to get started and this is the best example we have seen yet! 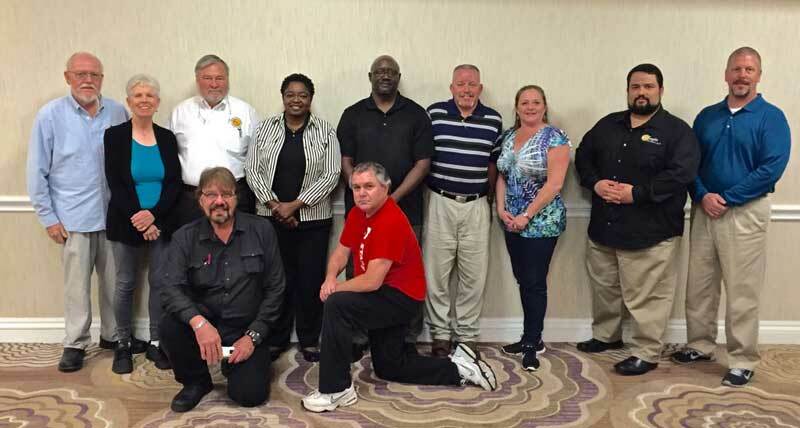 FOA recently had a instructor's meeting in Atlanta. 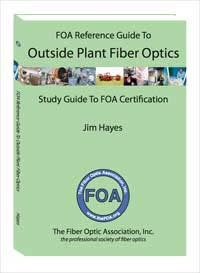 We invited all the instructors in the area to join us for a discussion on the fiber activity in the region (of course, including Google Fiber), the new FOA projects like the applications specialist certifications and a demonstration of online instructor-led training by Jerry Morla. 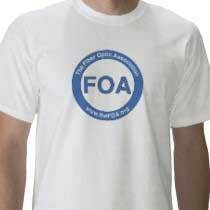 FOA meets with its schools and instructors regularly to get feedback to improve FOA programs and services. 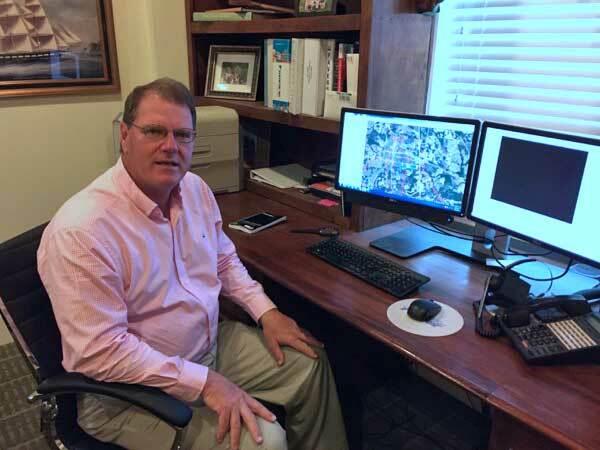 Jim Carlini, author of the book "Location, Location, Connectivity" talks to us about how the development of high speed internet is changing the landscape of industrial parks, and economic development. What can government do to facilitate economic development? What speeds are needed to keep American industry competitive? And how does high speed connectivity alter the entire environment of "going to work" ? 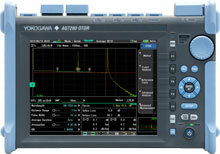 One of the classic reasons to use an OTDR is its ability to find kinks in a cable or other areas where stress on the cable will cause high loss. To illustrate this, we set up the FOA Yokogawa OTDR (thanks again for the donation to the folks at Yokogawa) with some SM cables and created these traces. 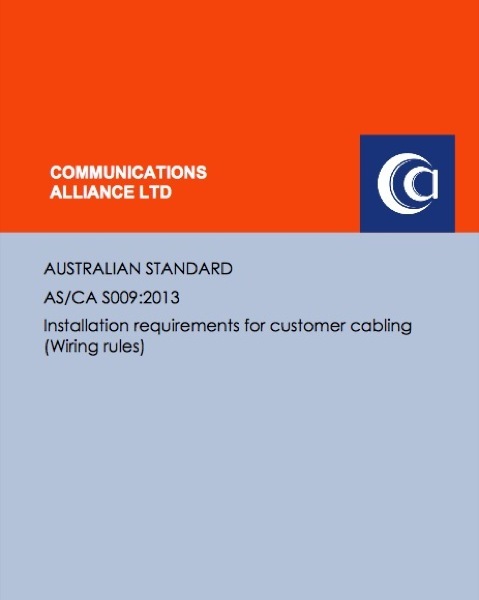 The cable shown is a 60m simplex cable. 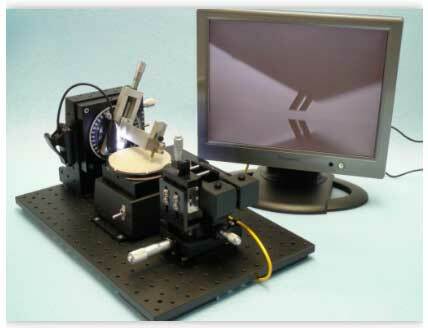 First, here is a trace taken before inserting the "kink" at 1550nm. 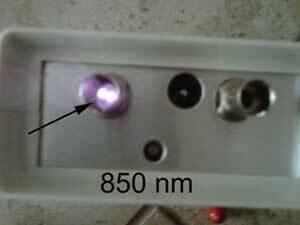 We used 1550nm because stress on the cable causes more loss at longer wavelengths. Now you can see the kink at the halfway point in the cable, a loss of 2dB. Note there is no reflectance peak, just a sharp drop off on the trace. 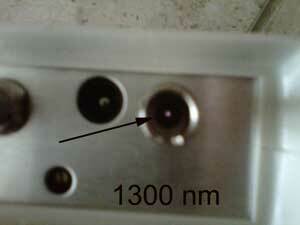 A kink tends to look just like a fusion splice because of the lack of reflection that is common with a connector. As you can see, there no indication of a problem at the lower wavelength. 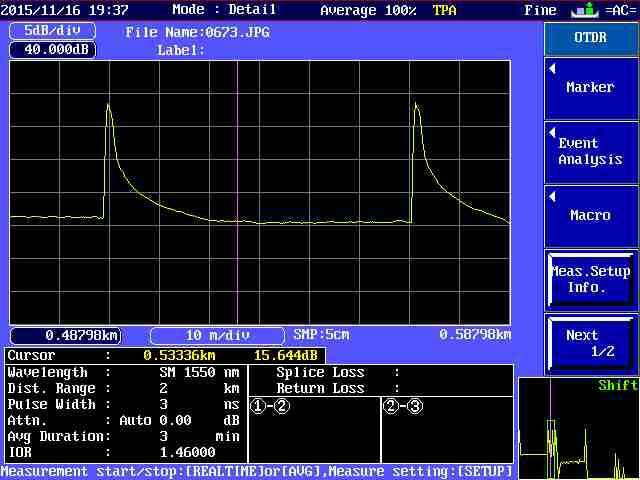 This illustrates that 1) the loss of the kink is higher at longer wavelengths (it would have been more loss if we had a 1625nm module for the OTDR) and 2) if you are looking for stress caused by installation, you need to use the longest wavelength available - 1550 or 1625nm for SM, 1300nm for MM. 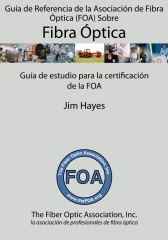 "On November 24, 2015, TIA Technology & Standards Secretariat published the following standard, in accordance with TIA policies and procedures: ANSI/TIA-604-18, FOCIS 18- Fiber Optic Connector Intermateability Standard Type 1x16 and 2 x 16 Multifiber Push- On/Multifiber Termination Push-On"
That means that the MPO/MTP connector has a new version with one or two rows of 16 fibers, joining the version with 1 to 6 rows of 12 fibers. As if installers didn't have enough problems already. 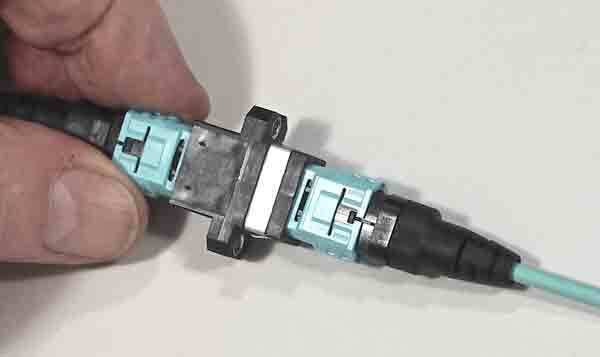 At least, but only at the final stages of development, they changed the key to offset it to one side of the connector body - otherwise you could have mated a 16 fiber MPO to a 12 fiber MPO because the ferrules and pins were similar! In addition, at the October meeting in Denver, a change was approved for the latest version of TIA-568.3-D that is guaranteed to confuse everyone. The fiber committee working on TIA-568.3-D revision voted to drop a project to update the 0.75dB connector loss limit because no one could agree on a spec that would cover all connectors including MPOs. At the same meeting, the committee accepted a proposal to change the estimates used in loss budget calculation to 0.3-0.5dB for the connectors only on the ends of the cable plant. 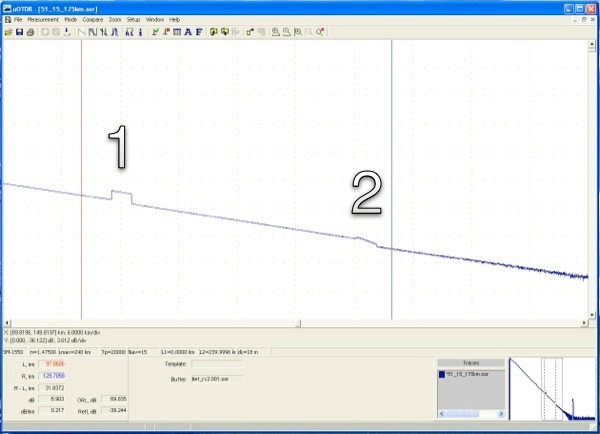 The justification was that simulations based on dimension tolerances show the loss of one of a pair of 0.75dB connectors mated to a 0.1dB reference connector are supposed to be 0.3dB connections (that's another thing nobody understands - reference cables are supposed to have 0.1dB connectors). As a consequence the calculation of a loss budget will become complicated if not incomprehensible and loss budgets will remain irrelevant because of the high connector loss allowed. 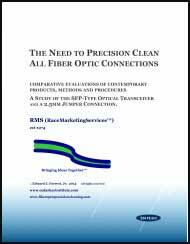 Nobody wants to take on the project to change the connector loss value because it requires 1) a lot of work including experimenting to get real statistical data and 2) the connector manufacturers would have to admit that array fiber and prepolished/splice connectors have significantly higher loss than single fiber connectors. 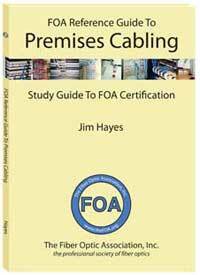 In the discussions of this issue, FOA brought up the obvious issues, including that connectors on reference cables are not going to be 0.1dB loss after being used many times. One person pointed out the durability specs for connectors say they have to be good for 500 insertions - but they forgot that the limit for loss after those 500 insertions is 0.75dB. 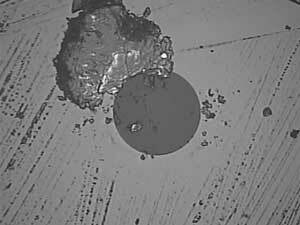 The consequence of all this is that loss budgets become even more imprecise and the possibility of high loss connectors escaping detection becomes higher. (if you have two 0.75dB connectors for a total of 1.50dB loss, you can have one 0.3dB connector and one 1.2dB connector. 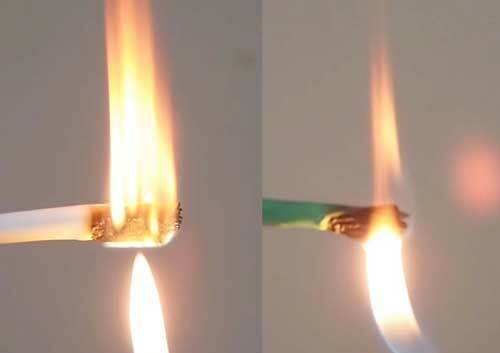 A company named Tinifiber has miniaturized the armored cable. 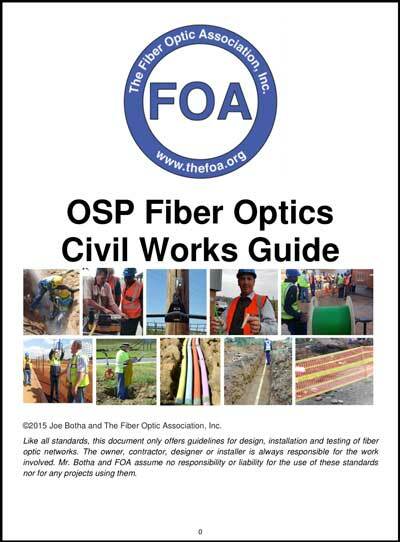 The fiber cables are available in versions with a single strand for Fiber to the Curb (FTTC), Fiber to the Home (FTTH) and Fiber to the Building (FTTB) as well as multiple strands from 1 to 144 (250u/900u/Ribbon) to support all projects needs. 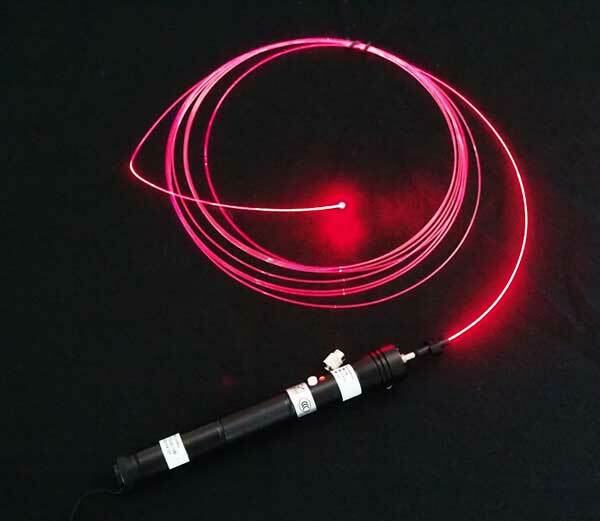 TiniFiberTM Duplex Patch Cords – a single tube for both transmitting (TX) and receiving (RX) fibers protects the glass fiber, adds strength with Micro Armor Fiber® and are half the size of conventional patch cords. 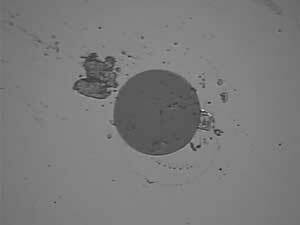 The big advantage of Tinifiber. Read more here. 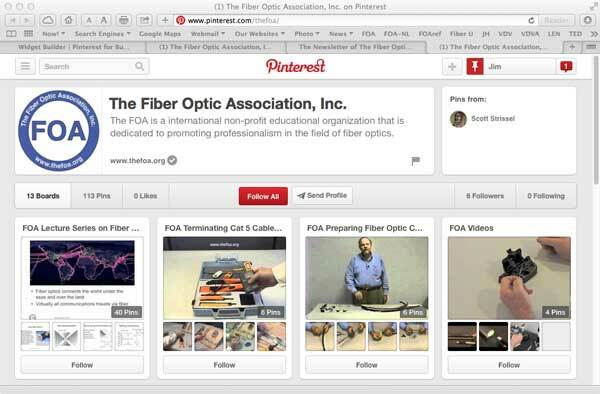 Watch videos, including how to prep TiniFiber cables here on YouTube. In the third quarter of 2015, according to Leichtman Research Group, cable is still way out ahead of telcos in terms of broadband subscribers. The group’s new numbers show that the top 17 cable operators and telcos in the United States jointly control 94 percent of the broadband Internet market, accounting for 89.5 million subscribers. But the cable companies in that group count almost 54.3 million subscribers, well ahead of the telcos’ 35.2 million subscribers. Leichtman’s figures showed that, in the first three quarters of 2015, cable companies added almost 2,300,000 broadband subscribers and telcos lost almost 130,000. 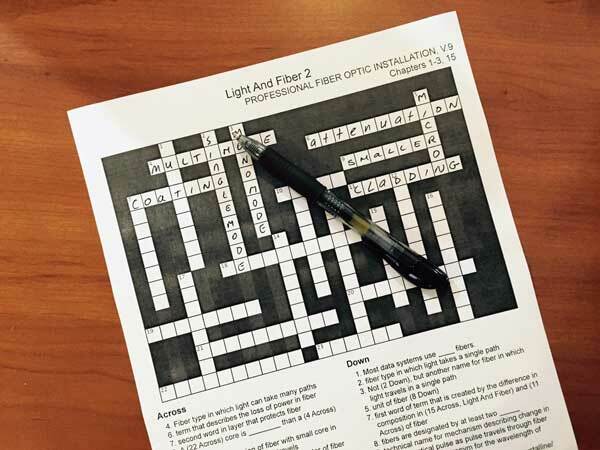 NEXANS UK has published a FAQ guide explaining the benefits of a "Fibre To The Office" (FTTO) solution as an alternative to traditional structured cabling installations. In March, the Navy launched its Innovation Cell to test whether it’s practical for the military to conduct a significant information technology acquisition — from the requirements phase all the way to selecting a final vendor— in less than a year. It appears that the answer is yes. On Tuesday, the Navy notified four firms that it’s picked their products to solve two out of the three “enterprise challenges” it issued to industry on March 26. Mostly off-the-shelf IT offerings, providing enhanced virtual desktops and revamped network architectures aboard Navy bases will be integrated into the massive Navy Marine Corps Intranet (NMCI) soon. An enterprise challenge to restructure NMCI’s campus-area architecture — effectively, the interconnections between servers, routers and desktops on a given Navy base — will be handled by Tellabs. 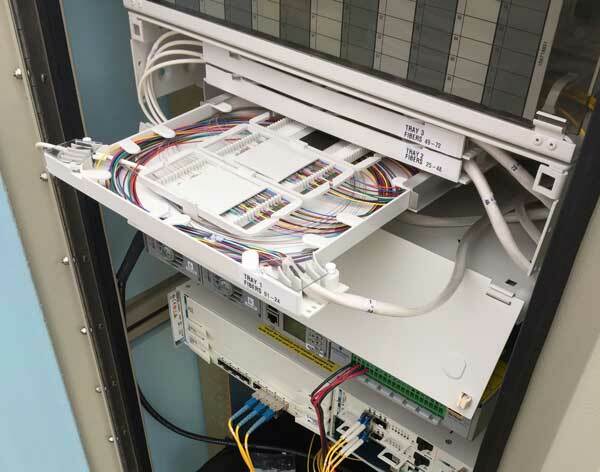 That firm’s passive optical network (PON) technology will be used on stateside bases to drastically upgrade the effective network bandwidth on each installation without the need to install new, expensive fiber optic cables. 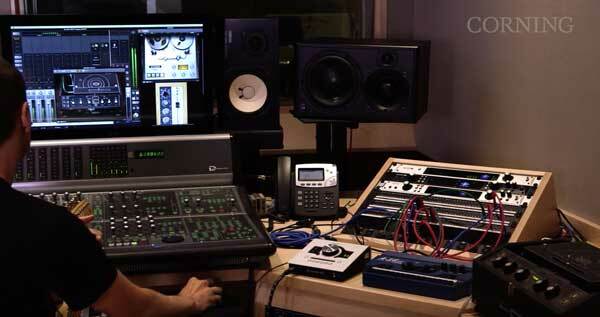 Universal Audio uses Corning Thunderbolt active optical cables to reduce noise in its high end audio equipment. 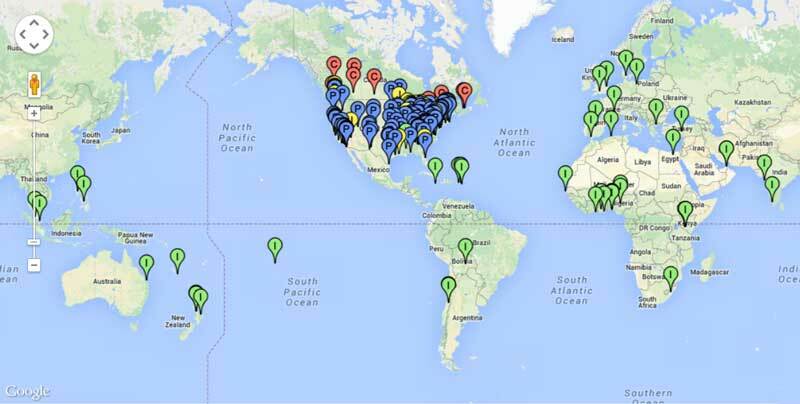 Want to keep up with gigabit FTTH, try reading or subscribe to the GigCommunities Newsletter. Q. The local phone company has approached me as property owner, as they would like to lay fibre optic cables on my property. I have been doing some research in an attempt to establish the health risks involved with using fibre optics more especially as I have minor children and the cables if laid, will run along (underground - not sure how deep though) my pool area where the kids play. Are you perhaps able to furnish me with information regarding the exact health risks involved - short term and long term please? A: Fiber optic cable is made from common plastics like polyethylene (PE) or polyvinyl chloride (PVC) which is considered safe and used in many household products. 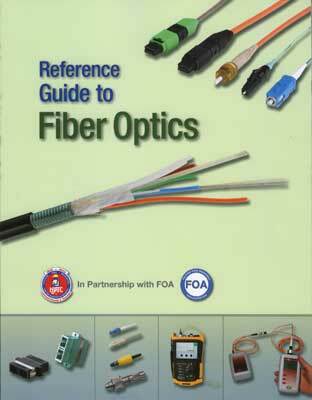 The fiber inside the cable is made of glass, Hava purer form of the glass you use all the time. There is no electrical current flowing, so there is no danger of electrocution or exposure to electromagnetic radiation. The light is not very strong and most systems shut off if the cable has been cut. Cables are buried over 1m under the ground and the trench for the cable is usually filled with gravel or cement. For most homeowners the biggest problem is the destruction of their lawn or garden during construction, but cable owners are usually very good at fixing the problems and/or compensating the homeowner.